When history will be written, the times we are living in will be termed as the ‘Dark Age of Media’. The last few years have witnessed an unprecedented spike in media houses peddling lies in the name of news. Media houses succumb to the lure of breaking a sensational news to their audience, resulting in reporting unverified information as facts from ‘sources’. 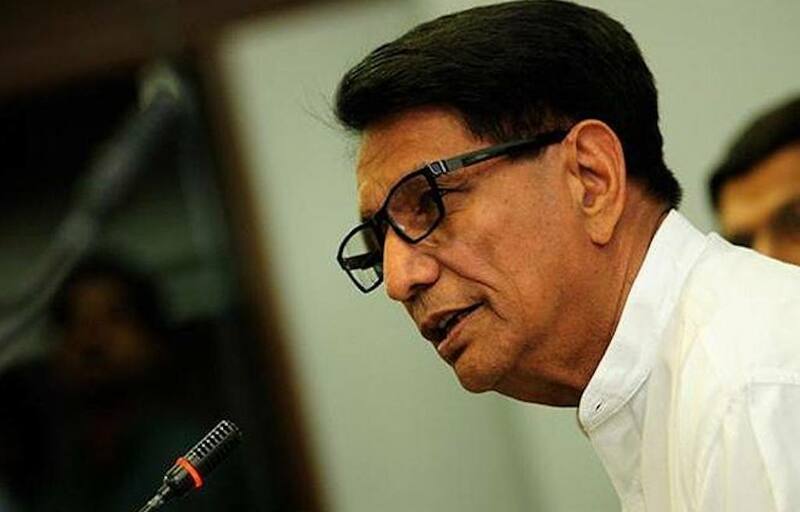 On 12 March, respected journalist Seema Mustafa wrote an article, “We Will Bury the BJP in Muzaffarnagar”: Ajit Singh, published with www.thecitizen.in. Young writers, including yours truly, read articles of Mustafa to learn the intricacies of language while writing about politics. But, this article shocked me to the core. I could not believe that someone of her stature can write an article full of factual errors. The article, to me, seemed more of political propaganda for Ajit Singh and his party Rashtriya Lok Dal (RLD) instead of a journalistic piece. The author celebrates Ajit Singh as a messiah of secularism and his party as a hope of secular forces in West-Uttar Pradesh. Through the article, she tries to portray a picture that Muzaffarnagar Lok Sabha Constituency is Jat dominated. Further, she tries to argue that Bharatiya Janata Party (BJP) had no formidable electoral base in Muzaffarnagar and Mathura. I hope that she was not serious. Discussing the 2009 Lok Sabha elections Mustafa writes, “Interestingly Muzaffarnagar in western UP — which remains a target area for the Yogi Adityanath government, and is thus kept simmering — was a keen constituency till 2009 for what is now the opposition grand alliance. Together the BSP, RLD, SP and Congress had accounted for almost the entire vote. But from 2013 onwards communal violence managed to shift a good chunk — 58.98% to be exact — of the vote share to the BJP. From where does she get this wisdom? I am unable to understand. Like any layman (or laywoman) the author has just went through the 2009 Lok Sabha Elections results to find that Kadir Rana of Bahujan Samaj Party (BSP) won the constituency securing 36.96% of the total votes polled. Thakur Sangeet Singh Som (now in BJP) contesting from Samajwadi Party (SP) secured 14.32% of votes, Harindra Malik from Indian National Congress (INC) secured 9.91% of votes, while RLD candidate Anuradha Chaudhary was the runner up securing 34.19% of votes. Now, Mustafa could not find BJP in this list and thus concluded that all the votes were shared by non-BJP parties. Truth is: during 2009 general elections RLD and BJP were in a pre-poll alliance. For the author, it can be hard to believe but her messiah of secularism, Ajit Singh, had allied with BJP as well as Congress. When she did not realise that these figures of 34.19% of RLD in 2009 also includes a formidable vote bank of BJP. Even more shocking for her might be the discovery that in 2009 what Kadir Rana (BSP) won was a highly communally charged electoral battle. RLD, which is now ‘secular’, in a rally attended by Narendra Modi, appealed to vote for a Hindu candidate on a Lok Sabha seat being won by Muslims (1999 by Saiduzzaman of INC and 2004 by Munawwar Hassan of SP) for two consecutive elections. In a polarised electoral combat, Kadir Rana secured the seat from BJP-RLD candidate Anuradha Chaudhary. As already discussed, the author cannot claim that 52.3% vote, which RLD secured during 2009 general elections were solely of its own. It was a RLD-BJP alliance. Rather, the data shows that without RLD, BJP secured almost the same proportion of votes during 2014 elections, thus defeating RLD. Another great piece of information which Mustafa should know is that Muzaffarnagar Lok Sabha Constituency has almost 27% Muslim voters in comparison to around 10% Jat votes. In last three decades, the seat is either won by a Muslim candidate or a Jat from BJP. For the record you may take a look : 1989 – Mufti Mohammad Sayeed (Janta Dal), 1991 – Naresh Kumar Baliyan (BJP), 1996 – Sohan Veer (BJP), 1998 – Sohan Veer (BJP), 1999 – Saiduzzaman (INC), 2004 – Munawwar Hassan (SP), 2009 – Kadir Rana (BSP), 2014 – Sanjeev Baliyan (BJP). Interestingly, BJP has won only with a Jat candidate from the seat. BJP has always campaigned that a Muslim should not win from the seat, and in this election, SP-BSP-RLD coalition is already taking away this seat from Muslims by not fielding a Muslim candidate. Muslim youth in Muzaffarnagar is asking: if we cannot have a leader from our own community in Muzaffarnagar then what kind of secularism are we being catered? Journalist of a stature of Seema Mustafa should be more careful and responsible.